Leimakamae Freitas was crowned Miss Hawaii Teen USA 2019 at the state finale held on 20th November 2019 at the Hawai‘i Convention Center. 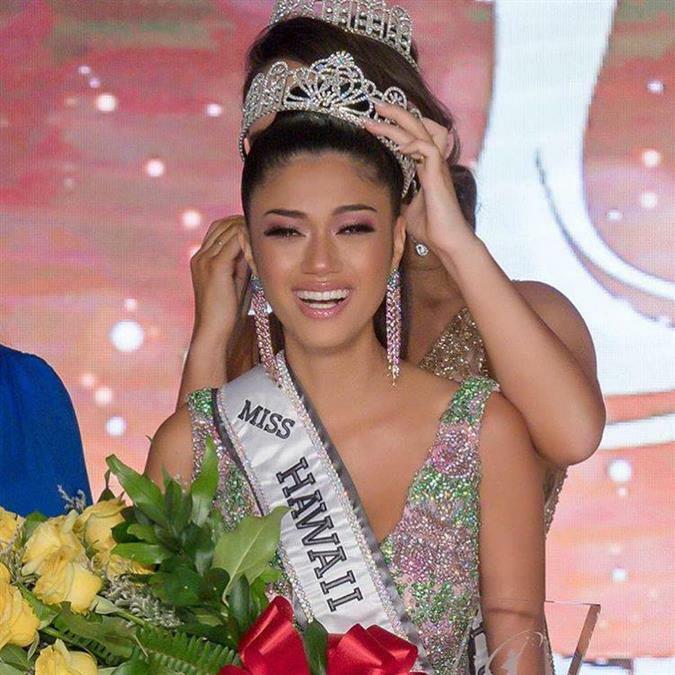 She succeeds and was crowned by Miss Hawaii USA 2018 Kylyn Rapoza. Runners-Up at the state finale were Ki’ilani Arruda (first runner-up), Lyric Medeiros (second runner-up), Tylee Calicdan (third runner-up) and Ashley (fourth runner-up). Rapoza. Runners-Up at the state finale were Ki’ilani Arruda (first runner-up), Lyric Medeiros (second runner-up), Tylee Calicdan (third runner-up) and Ashley (fourth runner-up). Leimakamae Freitas is 18 years of age and hails from Kailua-Kona. The gorgeous beauty is definitely worthy of winning the national crown with her exquisite features and implacable talents. Hawaii has won the Miss Teen USA title just once in 1985 when Kelly Hu was crowned Miss Teen USA 1985. If Leimakamae wins, that will be the second win for her state after a gap of 34 years, and she definitely has the potential to do that. For Leimakamae Freitas, it was the second consecutive title that she won and both the crowning were done by Kylyn Rapoza whom she considers a very dear friend and mentor. The gorgeous beauty queen also won the titles of Best in active wear, best in an evening gown and social media fan favourite at the state finals. Currently a senior at Konawaena High School, Leimakamae Freitas is currently completing her schooling. She is the daughter of Virginia Schreiner and Robert Freitas Jr. and speaks fluent Hawaiian through the Punana Leo ‘O Kona and Ke Kula ‘O Ehunuikaimalino immersion programs. She comes from a family of musicians and has nurtured a deep passion for music, earning multiple awards in singing competitions. She also wishes to start The Kakou Foundation to help bilingual high school students receive college scholarships.